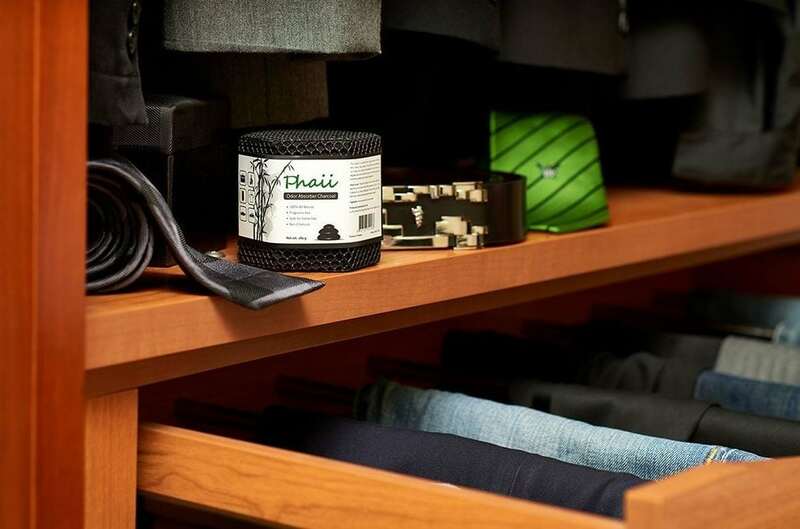 The best ways to deodorize a closet naturally always include actually removing the odor – rather than masking it. After all, purifying the air in your closet is much better than adding in more chemicals through artificial fragrances. Your closet stores dirty laundry, stinky shoes, smelly socks and musty smells from old clothing. Or maybe you love second hand clothes shopping but can’t get rid of the smells in thrift store clothing. Is it any wonder why your closet smells bad? Oh, and by the way, you’ve got to keep buying those smelly closet fresheners, which means money just being spent over and over. Which is kind of wasteful, anyways. 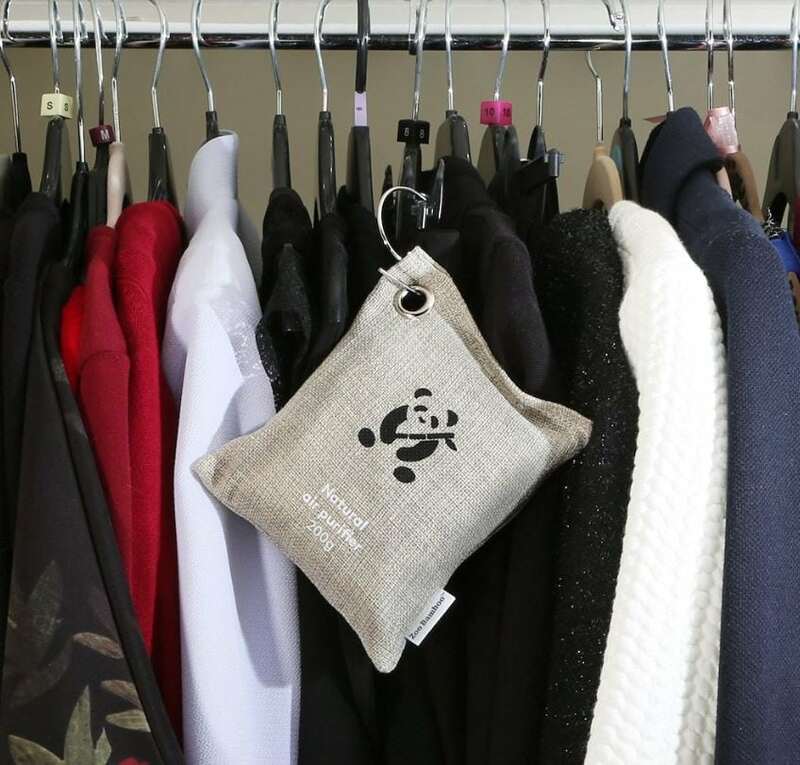 The brilliant hack to keep your closet smelling fresh is using the natural power of bamboo. Yes, that’s right! Those tall plants in the forest can help you get rid of the stinky smell of your gym socks and dirty laundry. Get fresh air in from a window. I don’t know many people with windows in their closet…..
Use baking soda. Yes, it works. If you want to store a box of baking soda in your closet. But it’s not decorative or renewable. And you have got to keep replacing it. 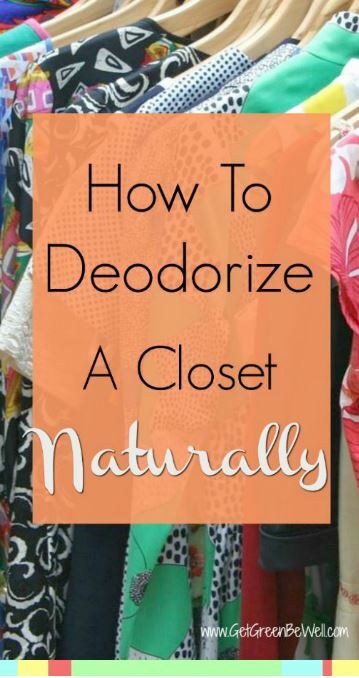 So bamboo air deodorizers help to fix the problems of so many other natural ways to deodorize a closet that don’t really seem to work. When bamboo is burned, it is made into activated charcoal. That charcoal is then kept and used in natural air purifiers. Air passes through the charcoal purifier during normal air circulation over the day (the charcoal is enclosed in a bag or box). When the air passes through the bamboo activated charcoal, it is purified, which means the odors are removed. After the natural process, what you have isn’t an artificially scented pine forest, but just clean air (which has NO smell, by the way!). Bamboo is my favorite method in removing mold and mildew in cars. It’s also my best way to get rid of odors in the refrigerator. In fact, activated charcoal kills mold from many surfaces (it can even be ingested, too). 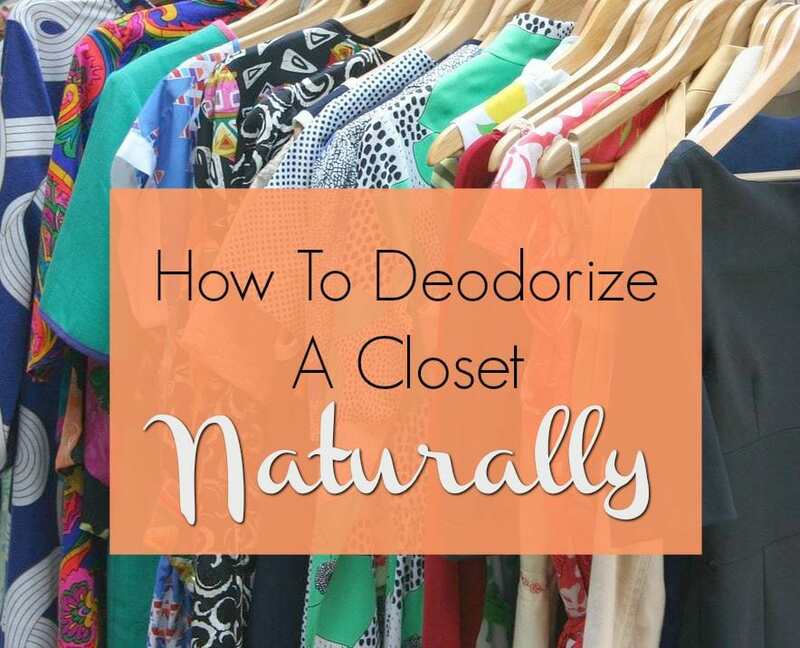 Using the natural ingredient is ideal for closets, too. While the following bamboo air purifiers are the best way to deodorize a closet naturally, they are all great at removing moisture, mold and mildew, too. Bamboo can be reused over and over again. Every 1-3 months, put the bamboo air purifier in the sun, and the heat of the sun’s rays will bake out the nasty odor causing substances. 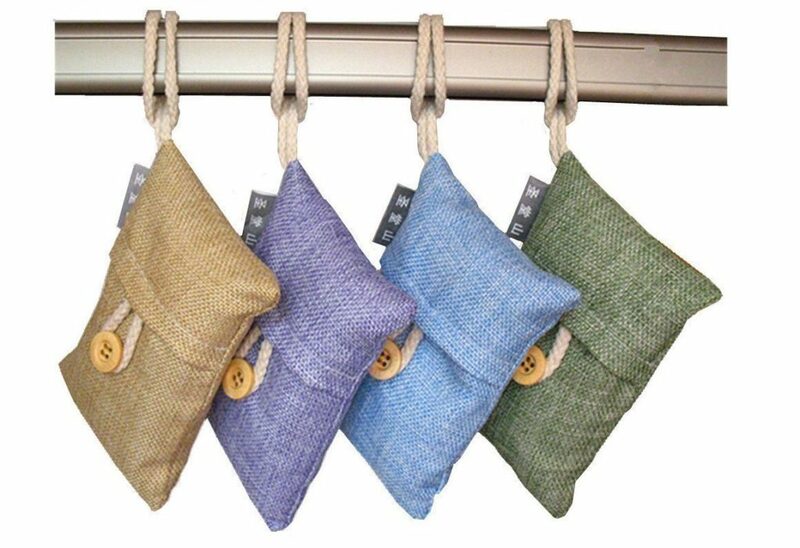 Then your bamboo bag is refreshed and ready to eliminate odors again. If you are masking the smell rather than eliminating it, you are not deodorizing, people. You are patching a broken system that doesn’t work. I have several of these in my car. They are stashed under seats and in the trunk. But I also use them in my closet, too! Want to tuck in a small bamboo activated charcoal air purifier in your closet, bathroom, luggage or even the kitchen? This minimalistic odor absorbing system is simple – just place it on a flat surface. And the price is great, too! 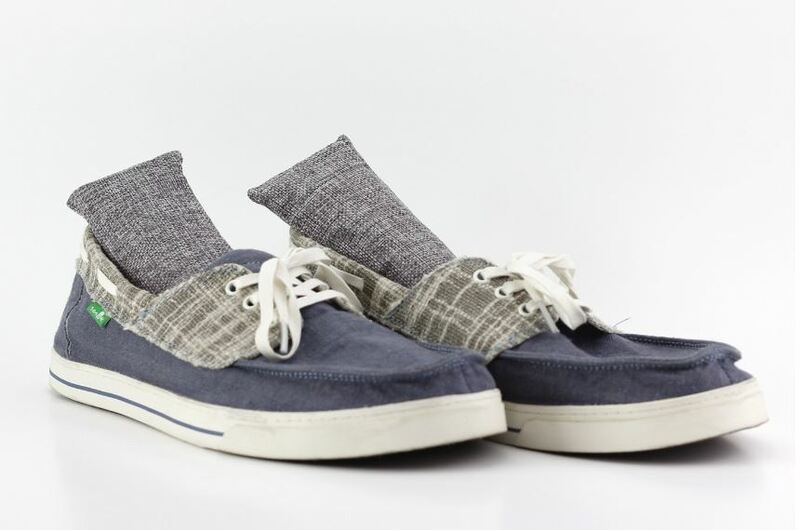 Made small for inserting in shoes, boots, purses or backpacks, these natural deodorizers harness the cleaning power of bamboo. They are so small and easy to hide, you can put them anywhere there’s a smell! Including your husband’s dresser drawers or gym bag! 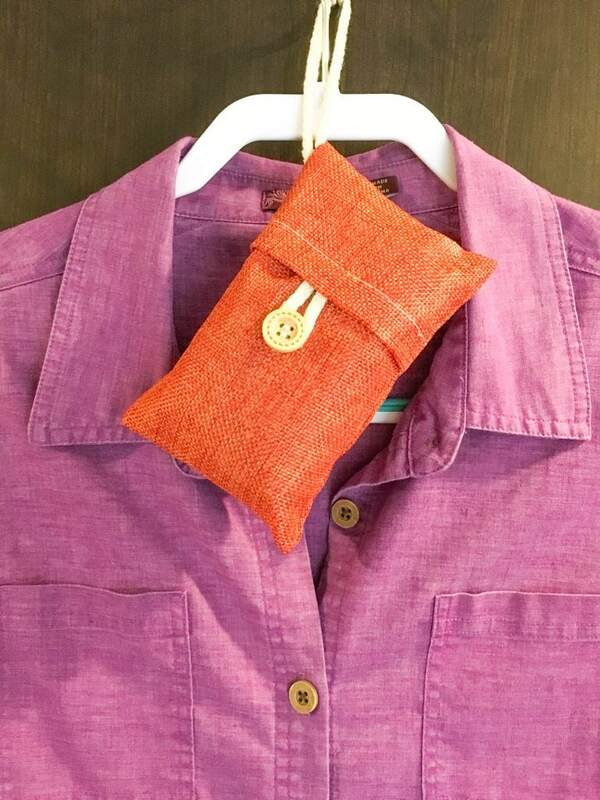 This eco-friendly natural deodorizer from ZooBamboo has a grommet so that you can hang an attachment if you don’t want to simply place the bamboo bag somewhere in your closet. Place this odor eliminator in a corner on a hook, or slip it over a hanger. This bamboo deodorizer bag is multi-purpose and can even be used in drawers, shoes, large luggage, sporting equipment bags, and more to naturally deodorize smells and odors. 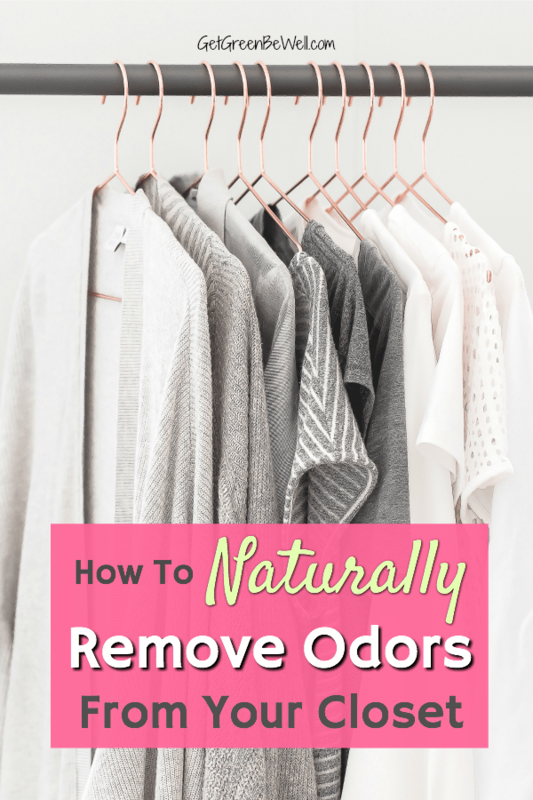 Still looking for more ways to naturally remove odors? Check out these super cute and funny natural air fresheners for your car. Hi Kimberly! This sounds great! I love that you can revive the charcoal by putting it in the sun. So cool that you can use it over and over. And I like that it just removes the odors and doesn’t add any kind of fragrance. Great find! Pinning this. Thanks! Yes, this article really is helpful and it opened my eyes to some good deodorizing possibilities–thank you for sharing this valuable info!